It’s amazing how quickly grit and grime accumulate in car upholstery. It’s as if my carpet has been a welcome mat for camping grounds on a construction site on sandy beach front property. And trust me, the picture makes that carpet look better than it is. Surely, there must be a solution to help keep cars clean that doesn’t involve doing a thorough cleaning every two weeks. Luckily, there is! You can buy a fancy trash can (like this one), or you can simply use a plastic bag. A lot of times, we leave trash in our car with the intention to take it out later. But, this doesn’t always happen. A trash can solves this problem, so you won’t have to worry about trash being all over your car. When I first saw this, I didn’t think too much about it. However, it turns out that cup holders carry a lot of grime from sticky juice to just overall dirt. From my experience, cup holders are hard to clean out. 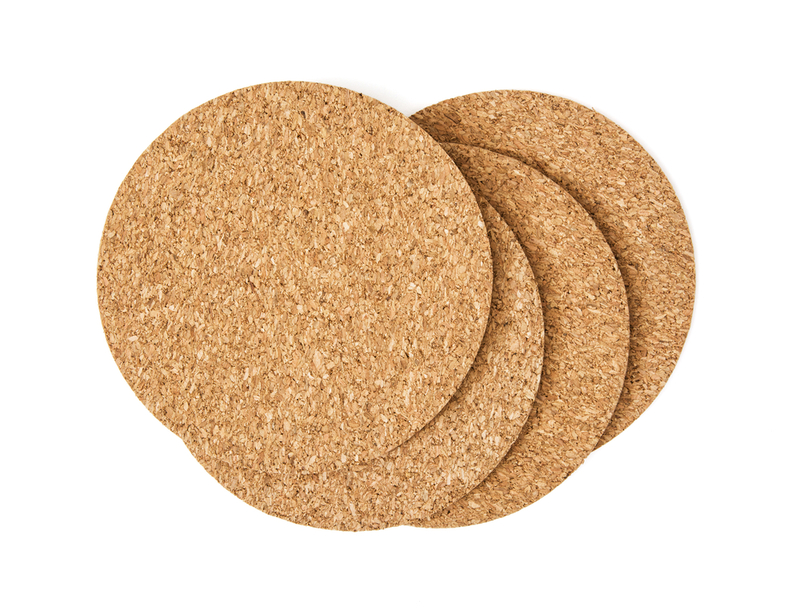 Ceramic car coasters solve this problem by keeping dirt and grime away from the actual cup holder. You probably keep a bunch of cleaning supplies such as Windex, toilet cleaners, brooms, vacuums, etc. in your house. While you won’t need all the supplies you keep in your house, it is good to keep a couple of cleaning supplies in your car. Simple things like cleaning wipes, dusters, or even a small vacuum can help to maintain your car’s cleanliness. One day, you may spill some Sprite on your seats. Another day, you may sneeze on your dashboard. So, knowing how exhausted and distracted you may be once you finally get home, it’s best to have some tools readily available to clean whatever mess you may make right away. At the end of the day, let’s not forget that most of us are not car cleaning experts. So, if you ever need a more thorough cleaning, TalkLocal can help you find local car washes. Now that the snow is gone for the next several months (hopefully), it’s time to give your car that perfect shine for spring! This is the perfect way to spend a nice afternoon outside, without spending a whole lot of money. Learn some great tips for cleaning your car without leaving water marks, soap deposits, or scratches on the paint. Check out this great car cleaning DIY guide! And don’t forget, if you would like a professional car wash for your vehicle, just use TalkLocal. We’ll connect you with up to three car wash services in your area directly. Leave the searching to TalkLocal! Follow the above steps to give your car a deep clean. And remember, TalkLocal can connect you with the right professionals when you need them most! This infographic was published on behalf of Southside Motor Factors: http://www.smf.ie/products/car-parts-accessories.146.html. A well-mannered person knows when to tip service professionals and how to give a tip. On the other hand, those lacking good manners are never bothered to offer a tip, even when most deserved. While it is not mandatory to tip an individual, a gesture of gratitude should be made most if not all of the time. Tipping is an act of gratitude for a good service done for you. While many car washes today are run automatically, you will sometimes see five or more guys working on your car if you get a full-service car wash. Whether it’s one person or more, if they’re professional and friendly and did a great job, then it’s only fair to give them something back for their service. Another reason to tip car wash employees is the fact that they rely on tips for a good part of their income. At the end of the business day, the collected tips are divided evenly among the staff. The standard tip amount for car wash employees is $3 for a regular car wash and 10 percent of the total cost of the wash if your car was given extra effort and attention during detailing. Your local auto repair center may not require that you tip car wash employees, but doing so will certainly be much appreciated. The only instance when it would be ridiculous to leave a tip would be if you received completely awful service and the person who did the work did not apologize or make any efforts to fix the situation. In addition, there are many establishments, including car washes, that strictly do not allow patrons to tip car wash employees. If this is the case, you will most certainly see a sign saying so. Generally, the reason they don’t accept tips is they are already paying their employees fixed hourly wages in addition to benefits, so it’s no longer necessary for them to solicit tips. One thing to remember whenever leaving a tip, don’t be a show-off about it. Always tip discreetly. Ideally, you should simply leave your tip in the box, which is normally located by the cashier or at the final checkout lane. Do You Need Expert Car Detailing? Anytime you need professional car wash and car-detailing services, TalkLocal can help. We’ll connect you quickly to reliable professionals in no time — for free! Find the best car wash now! How much money would you be willing to invest in your automobile to see it shining like a new penny on a regular basis? In other words, home much would you be willing to spend on professional car detailing? Some companies charge you less than you would expect, but provide average, unimpressive results; others overcharge you but meet your highest expectations, while only a few car detailing experts manage to surprise you in a pleasant manner, without burning deep holes in your pockets. Long story short, how much is too much when it comes to car detailing prices? a) The services you actually ask for: If you want to profit from a complete package, including interior (clean seats, seatbelts, all leather and vinyl surfaces, trunk, spare tire, steering wheel, dash, console, glove compartment, carpet scrub, clean engine) and exterior detail (clean chromed surfaces, glass areas, door jambs, rubber elements, swirl mark removal, professional waxing, paint buffing, and so on). b) The current condition of your car: If your car is extremely filthy, be prepared to pay a little more for auto detailing services. Most companies operating in this line of work will charge you extra if your car is unimaginably dirty, because in this particular situation, fixing your problem will require an increased amount of time and a larger quantity of products utilized in the cleaning and polishing process. c) The area that you live in and the reputation of the car detailing company that you plan to contact: If you live in an exclusive neighborhood, or if you want to give your car an extreme makeover with help from real professionals hired by a famous “auto spa,” be prepared to spend a significant amount of money to see your car shining like new. If you are interested in a complete package, you could get it for approximately $200 by opting for an average car detailing company, but you could also pay twice as much for professional services provided by a high-end car detailing shop. Want to make the most of accessible auto detailing services? Would you be interested in discovering the best car detailing prices? In this case, use TalkLocal, your free source of information, to get in touch with the best specialists operating in this sector. Call the most reliable auto detailing experts, get no-obligation estimates today, and invest in long-lasting improvements that will increase the resale value of your car. If you have ever owned a car, you know how quickly the inside can become messy. Life is hectic, and sometimes the cleanliness of your car can fall by the wayside. If you are looking for answers about how to clean car fabric, here are some tips to keep in mind. If you, your children, pets, or friends have stained your cloth seats, all hope is not lost. In fact, using the tools any professional carpet cleaner might use, your seats will get to looking (and smelling) like new in no time. If you have a carpet shampooer, you can use the hose attachment to clean the seats just as you would your own carpet. You can rent a carpet cleaner from many home improvement stores if you do not want to make the investment. Additionally, many car washes now include a shampoo station alongside the vacuum station. Leather stains can be a bit trickier than cloth. A general rule of thumb states that messes made on leather clean up much easier than those on cloth, but this is only if they are taken care of immediately. Varying leather cleaning products are readily available on the market, from wipes for light cleaning jobs to shampoos for heavier ones. Wipe down the leather to remove any crumbly debris prior to cleaning. 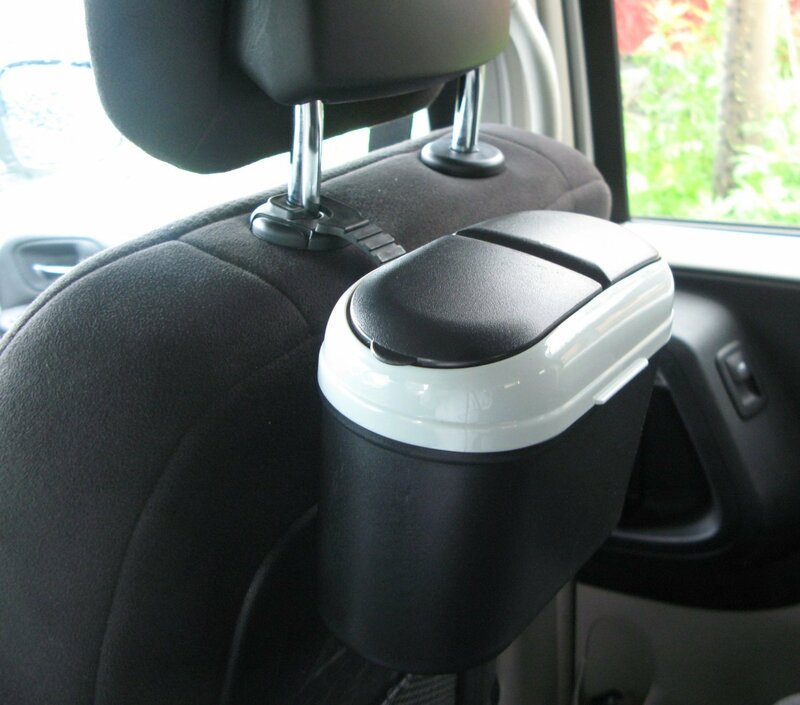 Be sure the cleaner you use is specifically designed for leather or it may damage your seat. Apply a conditioner after cleaning to prevent the seat from drying out and to restore its rich, original color. As with cloth seats, a carpet shampooer may be used to clean the carpet in a car. The carpet in your car is not very different — if at all — from the carpet in your home. Apply the same tactics that you would use in the home to the carpets in your car. Many of the same products you use in your home will work in the car, as well. There are experts out there who make a living detailing cars and will know how to clean car fabric effectively. To find one, try using TalkLocal’s free service. We will find a qualified car detailing service in your area quickly. It will only take you a matter of minutes to be connected with the right professional. People strive to get their car looking as nice, new, and shiny as possible. The way to achieve this is to wash, wax, and polish your car. 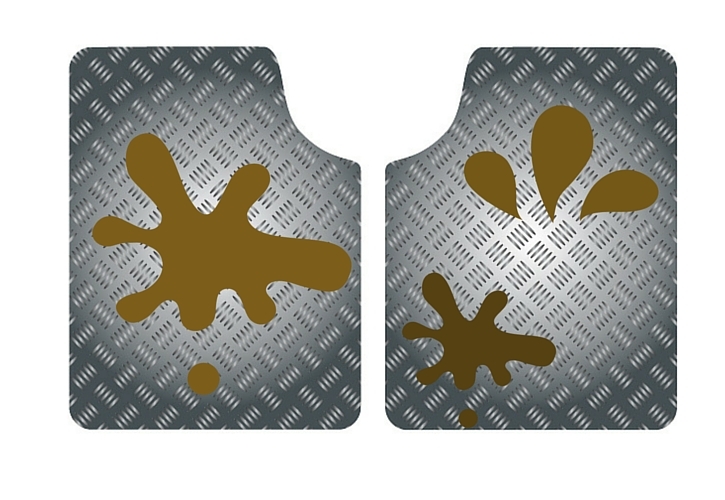 It will give your car a fresh-off-the-factory-floor look. Doing so will get rid of any minor scratches and scuffs and will really add a sparkle to your vehicle. You should be very careful when you do this because there is a lot most people don’t know about polishing and waxing. 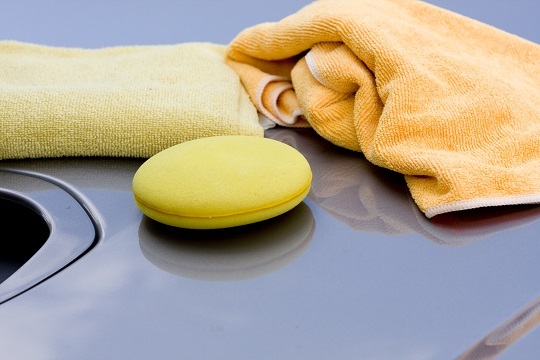 We have some tips to help you choose the best car wax polish. The number one thing to remember is that polishing your car and waxing are not the same at all. They both are important for taking care of the paint job on your vehicle. Remember to wash your car before polishing or waxing it. You can begin to polish your car after you wash it. The polishing actually prepares your car to be waxed. When you polish, you are actually buffing out the finish. This will smooth the body and remove any cracks caused by weather or general use. After you finish polishing you can begin to wax. Waxing applies on a coat of protection to save all of the work you’ve done. Do not wax before polishing, because this will trap dirt and imperfections in. Car polishes will come in two different forms. You can get it in liquids and solids. Although solid car polishes are harder to apply than liquid polishes they is better for certain reasons. 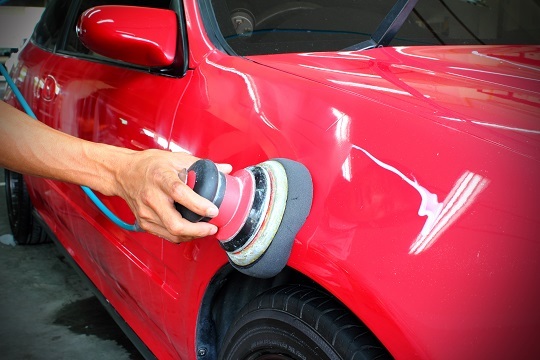 A solid car polish will give more shine and is better for old cars with abused paint jobs. Sold polish requires more expertise to put on but may be worth the hassle. Liquid polishes have synthetic polymers and are easier to apply. Some liquid polishes will cling better to the paint than the solid polishes. If you have more questions about different car waxes and polishes you should try to talk to a professional so that you can get the best help possible. The easiest, fastest way to get in contact with reliable local car washing services is to use TalkLocal. Just tell us what you need, where you are, and your availability, and we will connect you with up to three professionals ready to help, in just minutes. 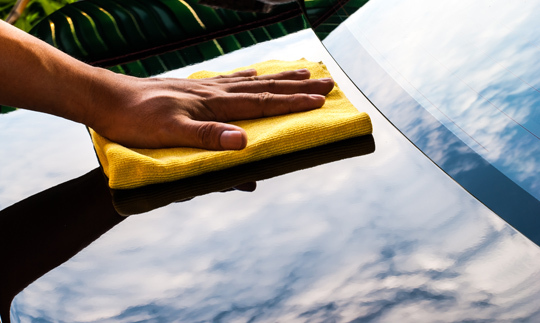 While cleaning the interior of your car is a pretty standard procedure, cleaning the exterior can take a lot more work and know-how. Waxing your car can be a fun and simple process, but sometimes elbow grease isn’t enough to get your car looking the way you want it to. This is when a buffer can come in handy. Learning how to wax a car with a buffer means you can save yourself time, money, and effort, while providing your car a showroom finish all at the same time. In the hands of the inexperienced, a buffer can leave paint burns, crevice stuffing, and whorls. However, if you follow these directions and are careful with waxing, then you can have your car looking great in no time. 1. Before we start, make sure your car is in the shade to ensure you don’t run into any problems with wax drying too quickly. 2. With your car in the shade, the next step is to wash the car. Washing a car gets rid of debris and dirt, allowing the surface to be smooth. 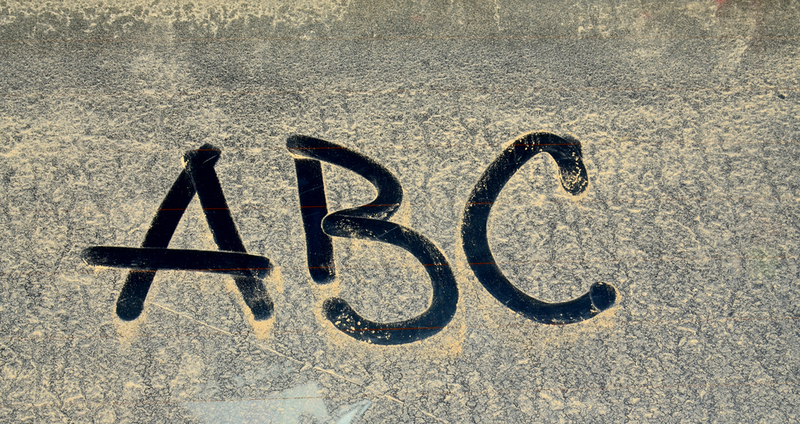 Wait until your car is thoroughly dried and make sure to avoid soapy residues. 3. The next step is to apply the wax. Apply about a teaspoon-sized lump of wax onto the car by rubbing it in a circular motion. Keep this circle in a small area before moving onto the next. 4. Place the wax applicator in place over the buffer pad and, without turning it on, spread the wax around. 5. Turn on the buffer and smooth the wax gently without applying pressure. Simply guide the buffer and let it do the work for you. Work within the lines of the vehicle and go with the flow of the metal. 6. Once you have waxed the entirety of the car, let the wax dry up before taking off the wax applicator. 7. Put the wax removal cloth onto the buffer pad now and use long, smooth strokes to remove the wax. NEVER go in circles and NEVER apply pressure to the buffer while doing this. Instead, guide the buffer and let it do its thing. Want to Get A Professional Car Wax? At this point, your car should be looking like you just bought it! By following these precautions and instructions, you should be able to wax your car and make it look like new in no time. However, if you would prefer to have a professional clean your car, consider using TalkLocal to find you an auto-cleaning specialist in your local area. TalkLocal is a free service that will connect you with top-quality, auto-cleaning companies in your area within minutes. Just enter in your specific problem, location, and availability, and up to three companies will call YOU directly, saving you the time and stress of finding one yourself. Leather seats can really add to the appearance of your car. They give off a feeling of affluence and decorum. Usually they are easy to wipe off, but you may need to do a deeper clean. 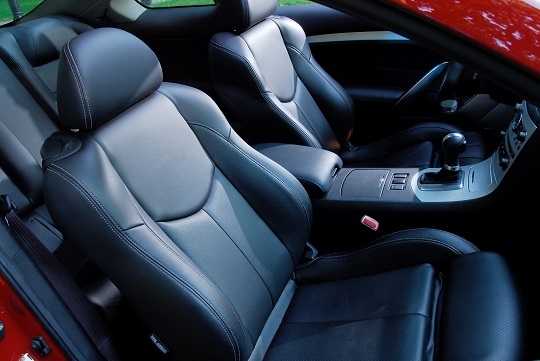 Dirty seats can quickly become an eyesore that ruins the overall appeal of your car, so you should clean leather car seats as soon as possible. If your leather seat gets dirty or stained, it will be more costly to have the material cleaned or replaced than normal polyester seats. 1. The first thing you need to do is clean off the surface of the seats. You will need to remove all of the dirt and larger debris using a soft towel or brush. Try to use a material that leaves as little lint behind as possible. You can use a simple store-bought cleaner to clean the surface of the seats. 2. Once the seats have been cleaned with the cleaner, wipe the surfaces down with water. This will get rid of any harsh chemical residue that could potentially harm the seat material. Dry the seats completely before moving on. 3. There is a wide array of leather seat conditioners available. The cost of the cleaner will usually correspond to the quality. You will need to condition your seats now. 4. Apply the solution liberally with a sponge. Lay it on evenly and rub it in completely. Do not leave it sitting on top of the seat. Your seats will be more protected if you rub the conditioner all the way in. Make sure your car is in the shade while the conditioner soaks in and dries. 5. Wait 24 hours and wipe the seats down with a dry cloth to get rid of remaining residue before using the car. If you have more questions about how to clean leather car seats, you find a professional car wash service using TalkLocal. TalkLocal is a free service that will connect you with up to three, reliable professionals in your area, in just minutes!